This crisp, clean and impact resistant fully finished PVC plastic door panel of the Garador Chatsworth a very well made item. The material will perfectly match your white PVC doors and windows. The PVC panel provides sturdy impact resistance. It is ready to cope with life’s little knocks. The UV-fast low gloss white finish looks great. It will not fade or yellow. The Garador Chatsworth is built around the strong Garador box section sub frame. An anti-drop device is set up to prevent the door from crashing down in the event of a spring or cable failure. The secure 2-point locking helps stop forced entry. However if security is a concern, we have an optional 4 point locking kit is available. This includes extra slam-shut latches, steel locking bar rods and two more slam latches. 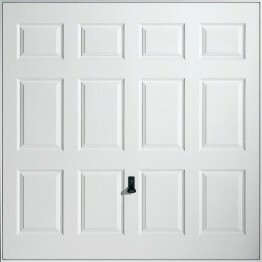 Choosing an operating gear that is right for your garage is as important as choosing the correct door panel. A canopy door also requires less space for opening. However, one-third of the door protrudes from the garage while the door is open. Canopy doors come with a zinc-coated torsion spring for a lasting, clean, finished look. There is also a cast alloy cable drum. A retractable door is different. It opens along horizontal tracks inside the garage and travels back into the garage space when opened. These doors have multiple spring cassettes and pivot arm covers. These covers provide trap protection to reduce the risk of injuries. Automatic operation works with the retractable lifting gear. Our optional Retractable Plus offers specially designed lifting arms including bottom spring brackets for narrow openings. This will which allow for maximum use of the opening width. 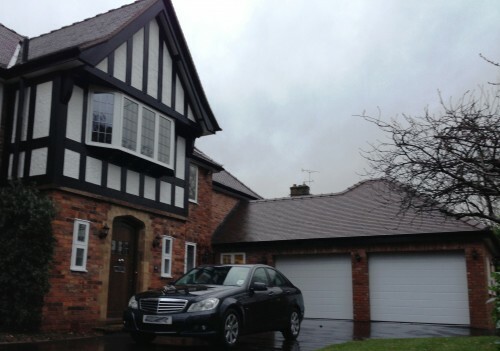 We here at Lakes Garage Doors have Garador products on display in our Lancashire Showroom. 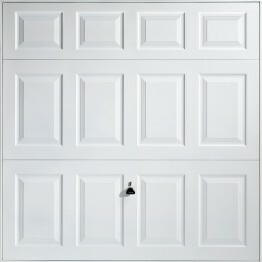 We are main suppliers of all Garador products including garage and front doors. Call and see us. We would love to show you around. Low gloss white finish panels fixed as an infill into a rigid box section chassis in White (RAL 9016). Black handle as standard, optional handles are available. 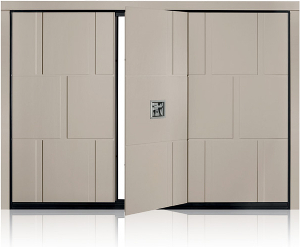 Doors can be supplied without handle holes but will increase the lead time. These doors are provided with a film on the front face to protect the door, this must be removed when fitted. 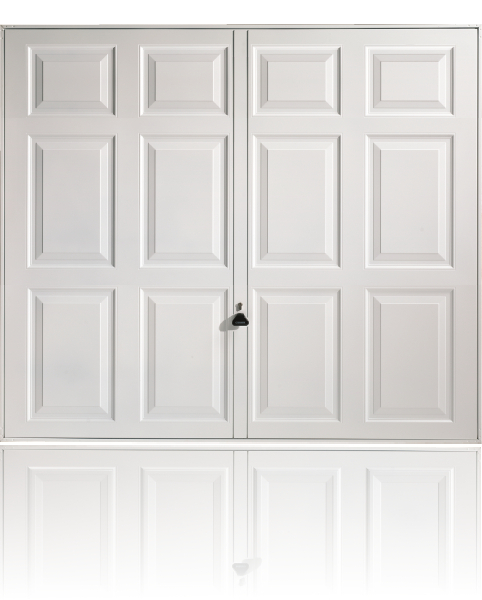 Standard sized doors are ex-stock on a one-week lead-time. Purpose made sizes on a 4 week lead-time. Canopy Gearing is available for all single doors providing a reliable and affodrable gearing solution, with no tracks running back into the garage. In the case of PVC doors, a warranty of 5 years is granted, on the door panels alone under the terms and conditions specified herein. The door mechanism and steel frame (if applicable) is covered by the 10 year warranty period.